The North East of England is an economically challenged region. With the shipyards having closed the area needed an injection of employment as the region was suffering in that regard. 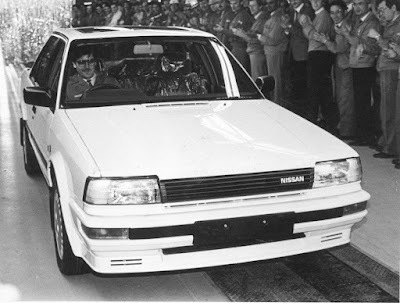 The UK government encouraged Nissan to build there and a large skilled workforce without employment was also a bonus. In the time the plant has been running, there has not been any time lost through industrial disputes. The placement of the plant has been good for both Nissan and the region. By 1986 the first cars were rolling off the production line but the first two years local content was low so they are not generally counted as UK production. I have added them to the chart below but the figures are not included in any of the totals at the bottom. 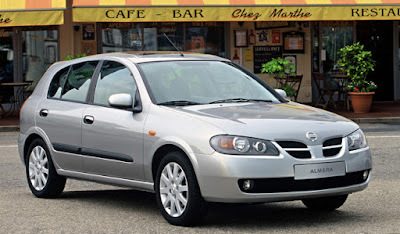 The model was the Bluebird initially but was soon replaced by the Primera in 1990. Over the years the plant has had additional investment to expand and become a four model plant. Extra shifts are put on when high demand is experienced, the plant at times three shifts. It is regarded as one of the most efficient car making facilities in Europe. The chart is self explanatory, but a couple of features to note: Green shading on model production data represents the biggest for that year. Under the 'Total' column, Shading changes for each 100,000 mark passed. Soon two Infiniti models will be added, the first time in decades a new brand has commenced production in the UK. It's nice to see a factory not only be so well run, but give a region a much needed financial boost. Nissan is what BL was once was, a UK designer and producer of cars. It would be only right that Nissan was at the top of sales in the UK, and it is certainly progressing in that regard. What is getting it success in Britain is more the quality and desirability of what is made there. 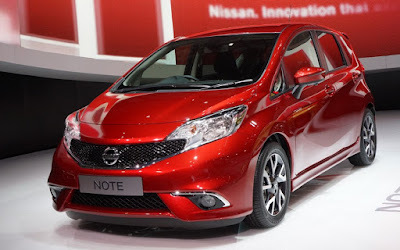 Will any other car maker ever again do what Nissan did and use the UK as a car manufacturing centre? It has certainly worked for Nissan. If partial copying, please attribute to this site. For a complete article, please seek permission. . Powered by Blogger.